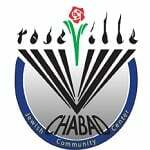 Music and Meditaition - Chabad of Placer County, Where every Jew is Family! Enjoy an afternoon out with music, relaxation, delicious food and friends. Join music therapist Katie Fry as she teaches practical tips on how to incorporate music as therapy in our daily lives. The event will take place in a private home.. Address will be emailed upon RSVP.